The first thing you need to understand in learning how to answer interview questions is that preparation is going to be the key to your success. Even if you had a cheat sheet with all the answers on it during the job interview, you would still benefit more from practicing the answers aloud ahead of time. Understanding what the employer is looking for is probably the second most important aspect of having a successful job interview. You can know how to answer interview questions and provide great statements of your qualifications, but if you are not providing the RIGHT kind of information, you are still dead in the water. So, the more you know about the job and the company, the better your chances of preparing and rehearsing the right information for the interview. This also gives you an added benefit in that you will be far more confident during the interview. That alone is a huge benefit. But that confidence gives you an edge over other job candidates, too. They will be more nervous than you are, so you can be more poised and polished in your demeanor and your responses. Ok, so you want to know how to answer interview questions more specifically. Let's focus on the questions you’re most likely to get asked. you are likely to get asked. Why are you leaving (why did you leave) your last job? When you know what the employer is looking for, you can better respond to these questions in a meaningful way. First, they want to know if you have the right qualifications for the job. When responding to these and other interview questions, point out how you have the right skills for the job. Match your experience and education point for point with what you learned about the job and its requirements. If you don't know that much about the job, ask the interviewer for additional information before answering questions about your skill set. Second, they want to know if you are diligent, attentive and take initiative. By having done research about the company and the position, you can impress the employer by showing how resourceful and dedicated you are. Answer the questions asked in a way that shows off your communication skills as well as the personality traits listed above. Third, the employer wants to make sure you'll fit in with the folks already working at the company. Your attitude and personality traits will shine through as you answer the job interview questions, so make sure you are giving off the right vibes. Be confident, but not arrogant. Be sincere, but have a sense of humor. Be energetic and show you are motivated to succeed, but don’t bounce off the walls. 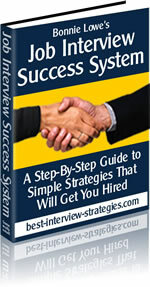 When you know how to answer interview questions, you stand a much better chance of succeeding and getting a job offer. Make the most of the time you spend preparing for the interview.